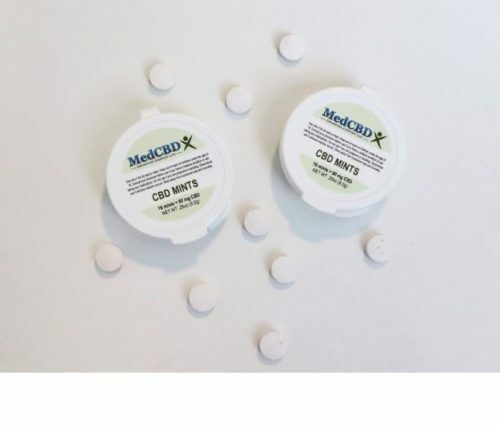 MedCBDX’s CBD Gum is a formulated CBD-Infused Hemp Oil Chewing Gum with a great mint taste. Each gum tablet contains 10mg of CBD from CO2 extracted hemp oil. The suggested serving is to chew at least one piece per day. Ingredients: Gum base, Maltitol, Sorbitol, Xylitol, Isomalt, Natural flavors, Vegetarian magnesium stearate, Silicon dioxide, Stevia. Why choose CBD Gum? There are millions of Americans who want the pain relieving benefits of CBD without the difficulty and discomfort of pills, capsules, and ill-tasting liquids. 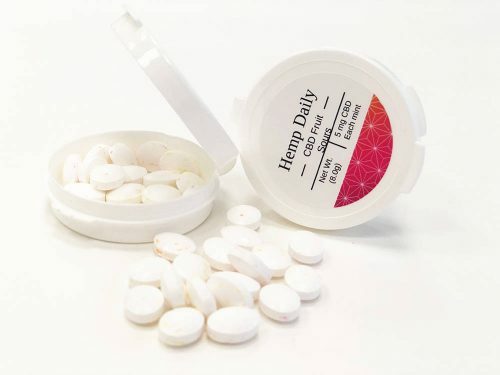 Our healthy chewing gum offers a safe, unique, and effective alternative to other CBD dosage forms, all in hemp oil. We suggest chewing one piece a day for help in relieving discomfort from life’s general aches and pains from the normal aging process resulting from inflammation. One discrete, easily portable product. So, what sets our CBD gum apart from other CBD dosed products on the market? Let’s start with the basics. Our specially formulated chewing gum comes in a tasty mint flavor and is made with CBD-rich hemp oil, with each piece of gum containing 10mg of CBD from CO2 extracted hemp oil. We suggest chewing one piece a day for help in relieving discomfort from life’s general aches and pains from the normal aging process resulting from inflammation. One of our biggest and most important goals in creating our CBD products for pain was to make sure their formulations weren’t just innovative, but also more effective. Our tableted CBD chewing gum provides a superior delivery method for distributing its key active ingredients than other oral CBD dosage forms, including pills, capsules, beverages, and gummies. As you chew, the CBD is released from the gum quickly and is absorbed by your oral mucosa, not your digestive system. 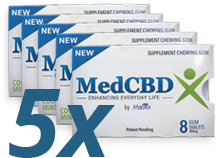 Bypassing your digestive tract allows the CBD to maintain its inherent bioavailability, and it also means that the CBD gets absorbed by your body five times faster than other forms of oral ingestion. Studies have shown that CBD that is swallowed as capsules, beverages, gummies or edibles delivers less than 10% of the CBD shown on the label. With CBD gum, you get relief for your aches and pains in rapid time, and at a dose that is strong enough to make a real difference, and delivered cost-effectively so you are not wasting the CBD you consume. 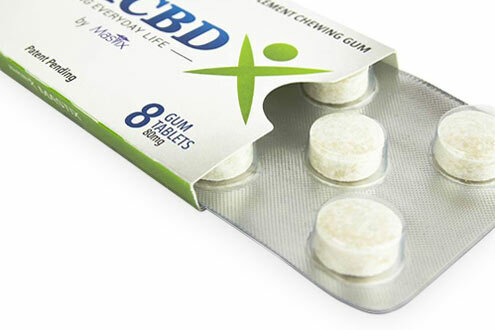 For businesses interested in selling their own line of CBD gum, we offer premium private label gum creation services. We’ll work closely with you to develop and manufacture your own of CBD-infused chewing gum, taking care of everything from the conceptualization phase to its final production.